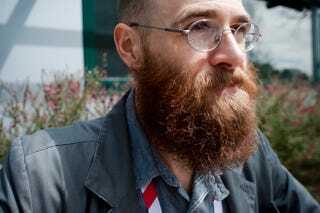 Over at Unwinnable, they've posted a list of "The 40 Most Impressive Displays of Facial Hair at GDC 2013." It was a pretty beardy event. To the side here is Spiky Tiger artist/illustrator Jason Bennett. The beards just get more elaborate from there.